When your family needs help, turn to ours. 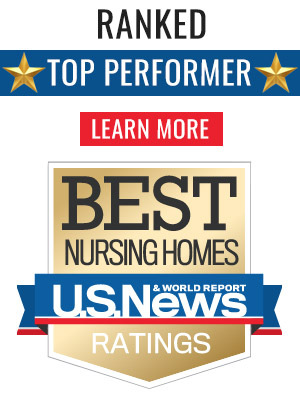 At Silver Creek Manor we are committed to creating a caring environment and providing our residents with innovative choices in healthcare today. 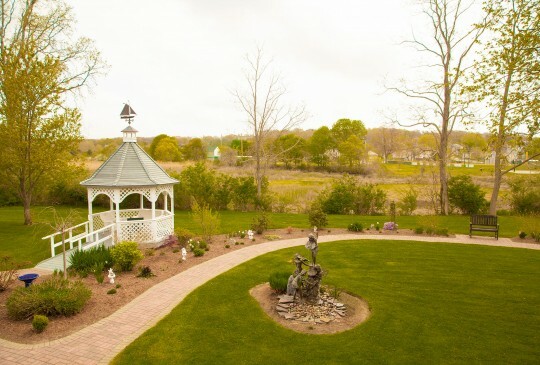 Silver Creek manor offers 24 hour nursing care in a home-like atmosphere with compassionate staff that sets Silver Creek Manor apart from other facilities. Let us show you the difference. 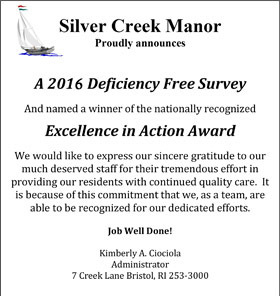 Silver Creek Manor is located in Bristol, RI the proverbial “All American Town” where the sense of spirit and community is evident. 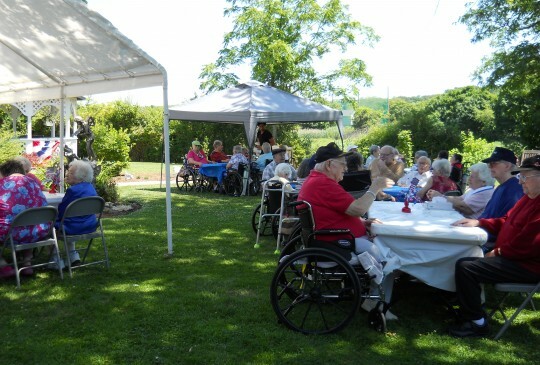 Our residents are encouraged to continue to participate in community activities. 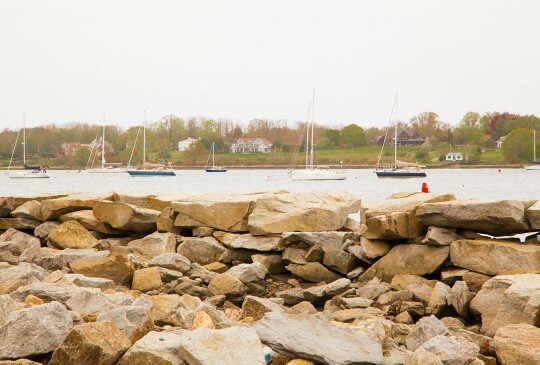 SCM has a reserved location to view the oldest 4th of July parade in the United States encouraging our residents to continue Bristol’s well known tradition. 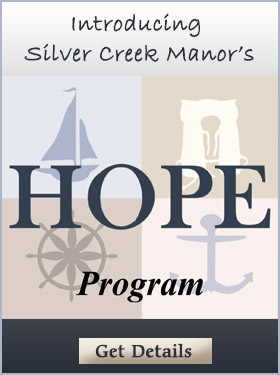 Welcome to Silver Creek Manor, a skilled nursing and rehab facility in Bristol, Rhode Island. 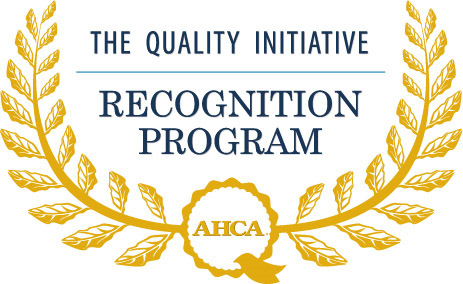 The Quality Initiative Recognition Program is designed to recognize AHCA nursing center members that demonstrate the attainment of one or more of the four AHCA Quality Initiative goals noted above. 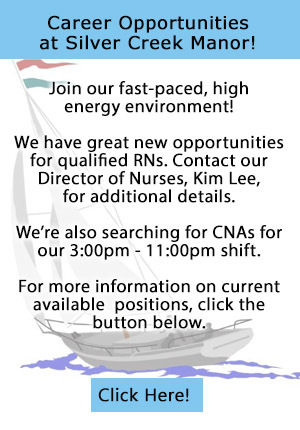 Nursing centers that reach any of the tiers will be honored at AHCA/NCAL’s 2015 Quality Symposium in Austin, TX. Those who achieve all four goals will receive special recognition at the conference, as well as be featured in Provider Magazine and in a national release from AHCA. 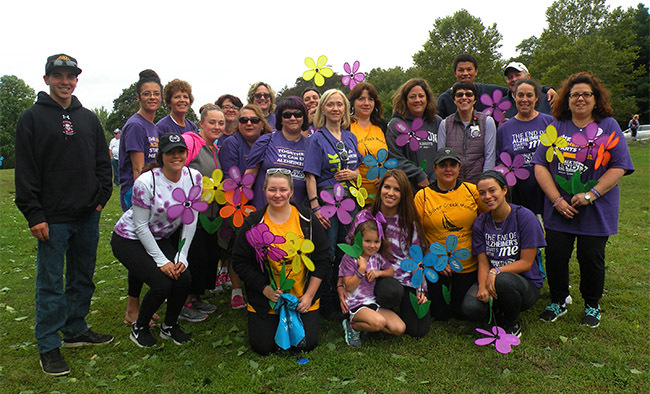 Thank you to all who participared in this year’s Alzheimer’s Walk. Your efforts will go a long way in helping to find a cure. 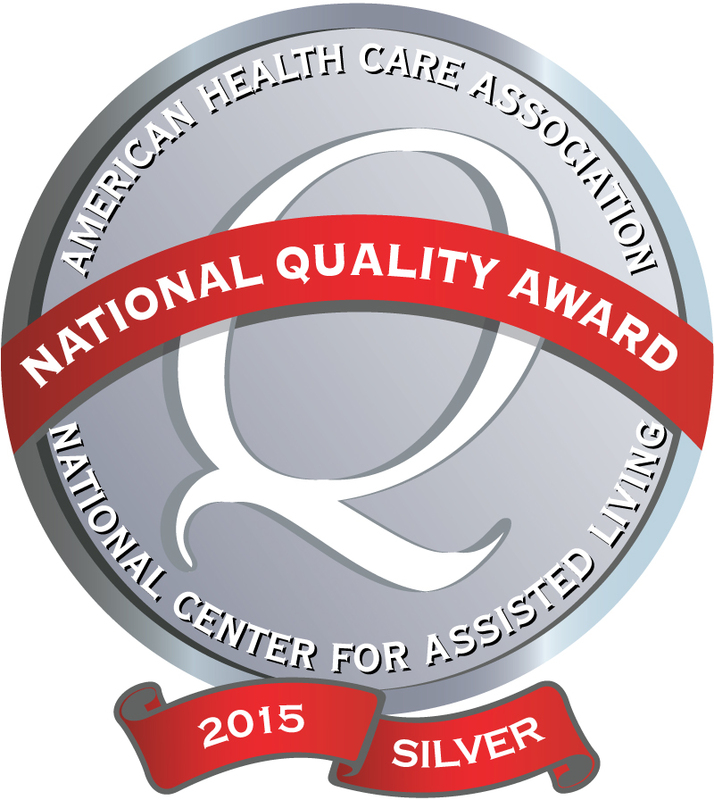 Silver Creek Manor Receives National Quality Award! Silver—Achievement in Quality—Applicants who receive the Silver Award provide an extensive assessment of their systematic approaches, performance measures, and sustainable organizational and process results that are linked to the key customer requirements, success factors, and challenges they identified in previously earning the Bronze—Commitment to Quality Award.